There’s no question that we are over testing and over treating patients in this country – $210 billion worth of over-everything according to today’s New York Times. 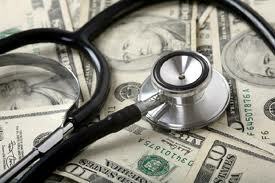 We spend a total of $2.3 trillion a year on healthcare. Well, is worth isn’t it? – As long as we get good care? Right? In the year 2000 the World Health Organization (WHO) ranked the health system of the world. Oman, Andorra and San Marino were ranked much higher than the United States who ranked 37th. Excuse my ignorance but I have never heard of these countries – not even in the Olympic opening ceremony. Cuba, a country with much less resources is ranked 39th – two slots below the US (which has the highest expenditure in healthcare cost per capita). In fairness, the WHO ranking system does not reflect the quality of our health care as much as simple life expectancy. There are multiple other factors related to life expectancy including diet and exercise – other countries simply get more. Actual health care, the kind that you would want if you got into a car accident, is darn good in the United States. Very expensive (another problem) but good. I guess the point here is that we should all take responsibility for our own health by exercising, eating nutritionally and supplementing intelligently. This is real health –care. Maybe our disease care system is only good for acute health problems and emergencies and not for chronic disease – again, personal responsibility is key.